QR Codes are generated on a per employee basis. You can download them as images and print them. Once you download your QR Codes you can print them on any printer, using any program (you can even not print them and scan them from a smartphone). Below are some step by step instructions to illustrate one method that you can use. 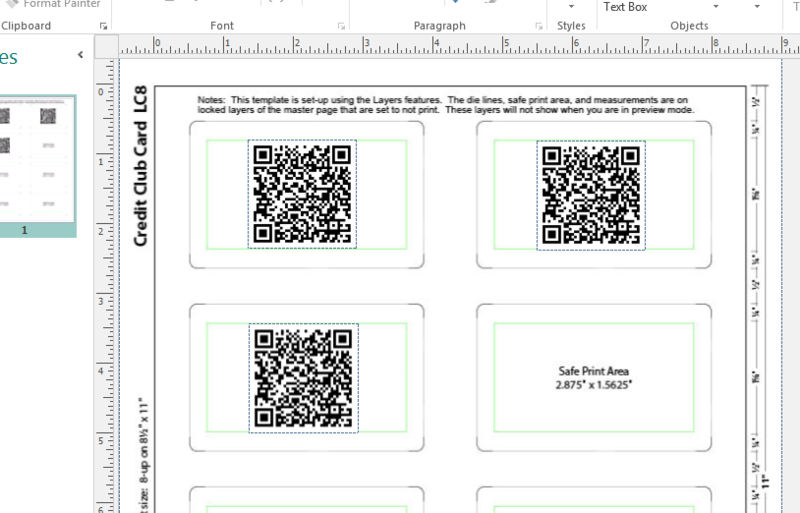 After you download your QR Codes you can use the following template to print them (template is at the bottom of this article!). Follow the steps below. Microsoft Publisher is required for this method. (A 30 Day free trial of Publisher is available here: http://products.office.com/en-us/try) You can print them on regular card stock using a laser printer. Download the attached Publisher file (The file is attached to the bottom of this article). Open the Publisher file using Microsoft Publisher. In Publisher click on "Insert" and then "Pictures." 6. 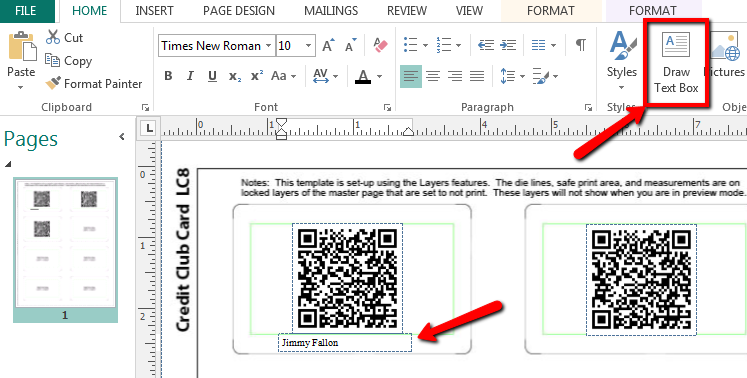 Once you are finished placing the codes and labeling them you can print the file. We recommend removing the placeholder image background by clicking CTRL+M while in Publisher. Then select the background image and delete it (push the delete key on your keyboard). Note: QR Codes can be resized smaller and still be read by a camera; however you must click and hold SHIFT while resizing them. If you do not they will become distorted and will not be readable.